Unlike many other jewelers, we do repairs on site. 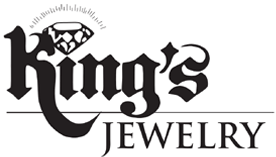 Will King, Nancy King & John Gough II are King’s on-site jewelers. We offer a wonderful job on your repairs whether it is a major repair of a family heirloom or a simple ring sizing. When you return to pick up your jewelry we have made it new again! For a sparkle and shine that is sure to make you smile, bring your jewelry to us. We’ll give your jewelry thorough cleaning and inspection and teach you proper care so your jewelry lasts a lifetime. jewelers will help design and create whatever your heart desires. Come in today to plan the piece of your dreams! Click Here for more details on our custom design process. have a question about jewelry repairs?